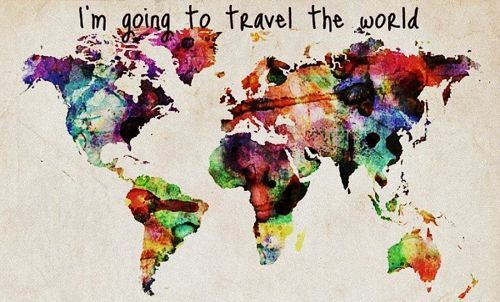 Since January after bombing a job interview for a flight attendant (my failed cost effective plan to see the world) I’ve literally been doing nothing but dreaming, thinking, researching and planning for an around the world trip. And as of yesterday, it’s official! I am leaving on January 22, 2013 from New York, New York for Santiago, Chile ! He didn’t seem upset, and actually told me I should do what makes me happy so I’m thinking giving them 3 months notice should be sufficient, and hopefully they won’t fire me ahead of time.